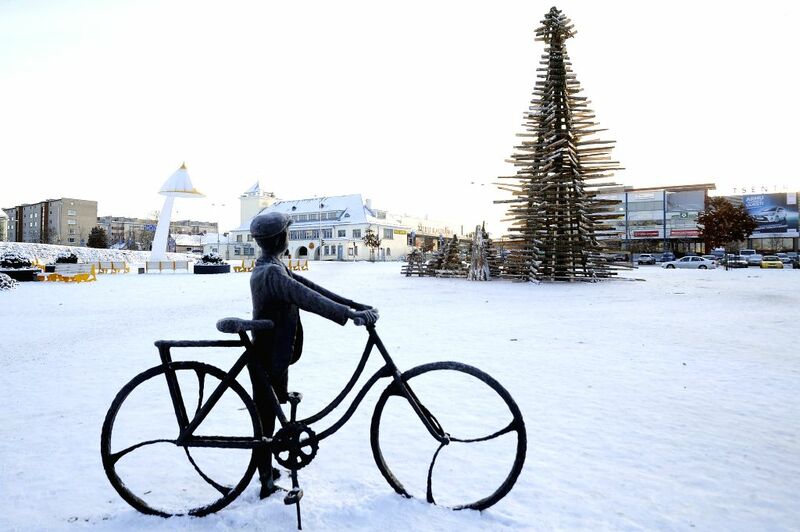 Rakvere: A over-ten-metre tall Christmas tree built with waste wood is placed by local students at the city centre of Rakvere, Western Virumaa county of Estonia, Dec. 3, 2014. Local young students of Rakvere Professional School built the special wood tree with waste wood from the local mills. 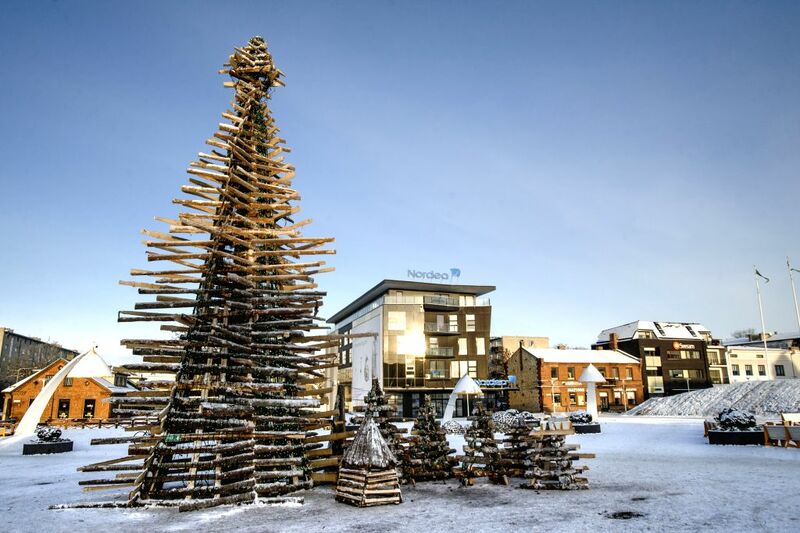 A over-ten-metre high Christmas tree built with waste wood is placed by local students at the city centre of Rakvere, Western Virumaa county of Estonia, Dec. 3, 2014.